Please join us on Friday June 21, 2019 for the 24th Annual St. Greg's Great Race! For the past twenty plus years, the Great Race has become the unofficial start of the summer running season in the greater Buffalo area! With over 1000 runners and walkers taking part in the event (along with thousands of other spectators and members of the community who come out annually to support the church) this is one race you don't want to miss! The St. Greg's Great Race is a Buffalo Runner of the Year race. The race will start and finish at St. Gregory the Great Church using The Great Race USATF Certified Course #NY12016JG. Interactive course map can be viewed by selecting the "courses & maps" button in the upper right hand corner of this page. Online registration will remain open right up until the start of the race. Race day registration and packet pickup will take place at the church from 2:00 pm right up until 15 minutes before the start of the race at 7:00pm. *Registration fee includes post-race wristbands for beer & wine (must be 21 or older). Additional wristbands can be purchased for $15 each on the night of the race at the Admissions tent. Please note that you must be 21 years of age or older and ID is required in order to receive your wristband. *Register online by June 12, 2019 to GUARANTEE your official Great Race shirt! Extra shirts (if any) will be distributed on a first-come, first-serve basis on race day until they are gone. If you can get a minimum of 5 people (yourself included) to register for the 5K Team Challenge, you will not only save $5 per person but your team will automatically be eligible for some fun and exciting prizes and recognition. We'll have an award for the team with the most creative costumes/attire. 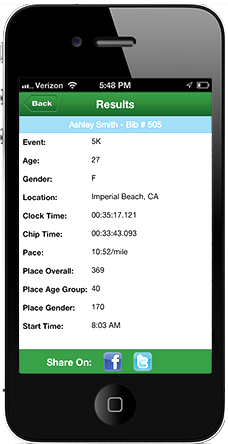 We'll also take the average of the top five finish times from your team to determine the fastest team. And finally, we'll recognize the largest team based on total number of team members. All team awards will be announced at the awards ceremony following the race! to guarantee your spot and avoid the long lines on race day! *Paper registration forms can be downloaded, but must be received by June 17, 2019. Runners are invited to stay for the post race party and awards ceremony. There will be live music performed by Hit-n-Run and food will be available for a nominal charge. There will free parking within walking distance of the start/finish line. Be sure to arrive early to allow time for parking and to avoid traffic and or road closure delays. 10 and under, 11-14, 15-19, 20-24, 25-29, 30-34, 35-39, 40-44, 45-49, 50-54, 55-59, 60-64, 65-69, 70-74, 75-79, 80-84, 85 and older. In addition, awards will be presented to the fastest 5K male & female student from St. Greg's School and the fastest 5K male and female parishioner from St. Greg's Church. You must let us know ahead of time by selecting the "parishioner" and/or "student" options during the registration process. Runners who neglect to select this option before the race will not be eligible for these awards.